In 2019, my life changed forever. I applied to take part in the ‘Gym66 12 Week Transformation challenge’, but at the time was so oblivious to the fact that it would impact me so significantly. With the support of Jack & Frank, I gained incomparably detailed knowledge about my eating habits which in turn reformed my attitude towards nutrition and fuelling my body. The education i have gained from this will continue to make a positive impact on my food choices and the way i live my life. I physically pushed myself in training sessions beyond limits i believed i was capable of. Along the journey, I became more comfortable with who i am as a person & my self esteem grew noticeably. This is hugely down to the time and commitment the boys put into me. The work they put in allowed me to enjoy the process of a physical transformation. Every step of the way, as hard as it was sometimes, I believed I could do it. 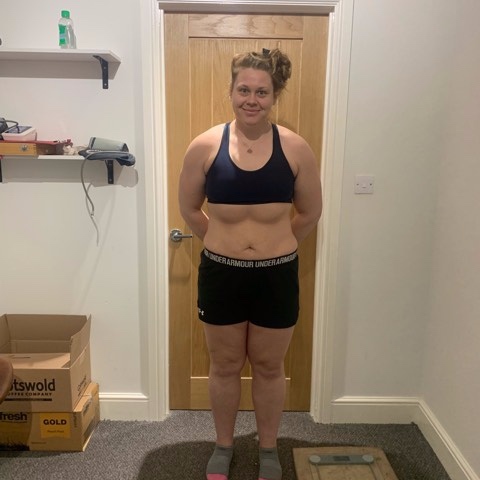 In 12 weeks; i lost 9kg of bodyweight, ignited a whole new level of self-love & self-belief, and uncovered some potential i would never have have been able to reach on my own. Alongside that, i made a pair of lovely friends. I owe so much to these boys and will be forever grateful for their time and efforts in helping me become healthier and happier. I am excited for the next chapter!